GAME OF THRONES is taking on The Doctor this year at the 2013 Hugos, along with an episode of J.J Abram’s FRINGE. LoneStarCon 3 just announced this year’s Hugo nominations. 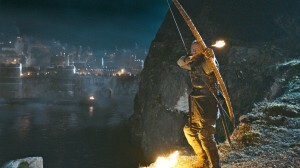 “Blackwater,” the ninth episode of the second season, has been nominated in Best Dramatic Presentation – Short Form. Written by GRRM (with considerable help from Benioff and D.B. Weiss) and directed by Neil Marshall. 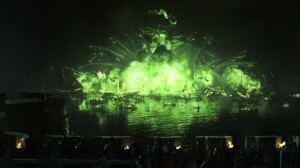 “Blackwater” is a thrilling episode introducing the famous magic napalm known as Wild Fire, and featuring one of the only scripts set exclusively in Kings Landing.